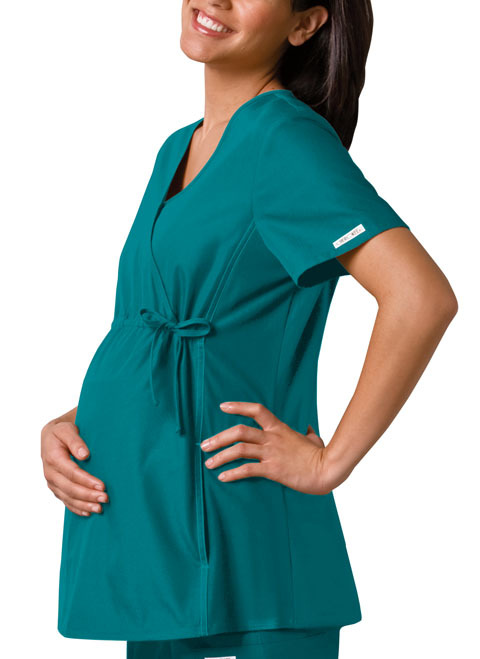 This unique maternity top features an adjustable drawstring empire waist and soft stretchy knit side panels. Tonal topstitching on the front and back princess seams, a patch pocket, cellphone pocket and a hidden pocket finish this picture. Our comfy Maternity styles are designed to support and flatter using your current size, so no need to size up. When ordering Cherokee Maternity styles, remember to order your pre-pregnancy size. Center back length: 27".